Happy Valentine’s Day! 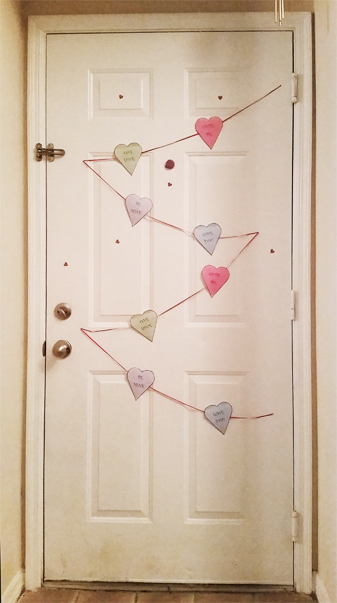 Ok, I am a day early, but I finally got around to decorating and I can totally feel the love now! I just love how cute the little Valentine’s Day conversation hearts are, but I really don’t like eating them at all. They are a classic Valentine’s Day tradition, but putting them on the wall seems like a much better idea than eating them, to me! This is a super simple, super cheap decorating idea, that requires nothing more than a printer, a pair of scissors and some tape! 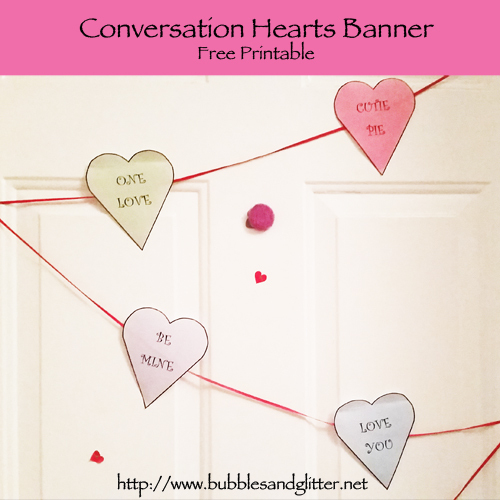 Click for your very own PDF or WORD version of this printable, then all you need to do is cut them out, tape them to some ribbon, and voila! Please be sure to link back if you talk about this on your blog or social media. Thank you!! For a list of where this post is linked up, please visit the Link Ups page!